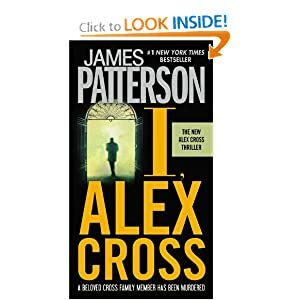 The Alex Cross series is another favorite of mine. James Patterson has a way of using family values as a tool against those who have no values at all. When a beloved family member is found murdered, Cross (along with his girlfriend) discover that her murder is complicated by a social scene only available by the rich and powerful. If he digs too deep, His life may not be the only one he puts at risk. Conflicted with how to maintain a professional life and personal life is always at the core of the Cross series and one with which I can personally relate. On a scale of 1 – 5, I give I, Alex Cross a solid 4.25. Get it and enjoy, I, Alex Cross.